Good news! Online Therapy will be offering group counselling programmes starting next year (2019) mid-January. To learn more about our previous workshops, please follow this link. We have prepared a course that focuses on Acceptance Commitment Training (ACT) which works well with workplace stress and anxiety. 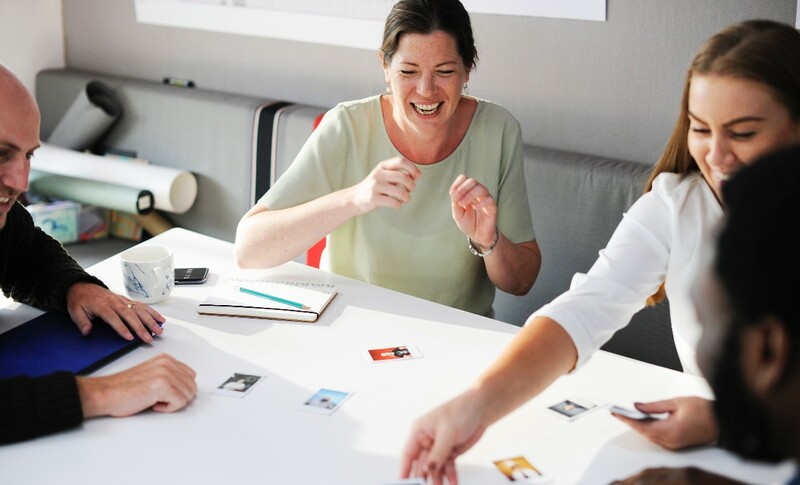 The year kicks off with training programs that can provide you with tools to make a positive change to your work environment and family life. We love group work because it offers members feedback to help recognise personal problems from different perspectives. Within the therapeutic context, it is comforting to hear that you are not alone and that many people have similar ways of processing thoughts. It is also reassuring to know that group therapy using acceptance and commitment training ACT has a proven track record to address stress and anxiety effectively. You may ask: Why choose Group Therapy using acceptance and commitment training ACT? ACT is based on six core processes, acceptance, cognitive defusion, present moment, self-as-context, values and committed actions as discussed below. During group work, you will learn how to work through these processes and create goals based on their values and then taking committed action. Below is a summary of the ACT core processes. During group work, you will be provided with tools to learn how to accept difficult emotions instead of fighting them. You will learn to change the way you interact with difficult thoughts by creating distance from emotions that are not useful. In that way, negative thoughts have less power over you. By learning to be present you are more flexible in your actions and you can start to set goals, based on what is important to you (values). This happens by changing your internal language. Your new behaviour will be based on your describing events in a non-judgemental way. Hence, you become “self-as-process” and learn to defuse from ongoing, unhelpful thoughts and feelings. Due to relational frames (I vs You, Now vs Then, and Here vs There), language shapes our perspective of the world. Being self-as-context you become aware of how you identify with past and future thoughts. During group therapy, you will learn techniques to help you become aware of your ‘flow of experiences’ and learn how to detach from unhelpful feelings. Even with shortcomings we can accept ourselves and live meaningful lives. The group will set goals according to their values. You will be encouraged to take action linked to their values to achieve goals. After each session, you will receive homework to help you action your goals. If you would like to learn more about Group Therapy using Acceptance and Commitment Training (ACT), then feel free to contact me using the form below. To receive more information on Group Therapy using Acceptance Commitment Training ACT, please feel free to subscribe to our newsletter. In this article, the Skype counsellor discussing Depression Anxiety Stress Scale (DASS) developed by Lovibond S.H. and Lovibond P.F. The Depression Anxiety Stress Scale (DASS) was developed to report on negative emotional states employing a bipolar scaling measure (four-point rating scale, 0-3). Previously referred to as the Self-Analysis Questionnaire (SAQ), DASS has two additions, DASS-21 and DASS-42. The DASS-42 (42 items) is recommended for clinical use and the shortened version DASS-21 (21 items) for research. The DASS is a screening tool, not meant for diagnosis of mental disorders. In this essay, the DASS-21 will be discussed in terms of how it relates to Depression, Anxiety and Acute Stress Disorder. DASS-21 will also be considered in terms of its relevance in the New Zealand context, psychometric properties, functions and limitations and ethical concerns. Summarised from Lovibond & Lovibond, (1995a), DASS highlights three different negative states; the scales are not independent of the other. The authors used 30 samples that revealed three distinct scales which were labelled as Depression, Anxiety and Stress. They found that the internal consistency of the anxiety scale was consistently lower than stress and depression. However, it was an acceptable result to make inferences about individuals and groups. The DASS-21 scales scored lower for internal consistency than DASS-42 due to the fact that it contained fewer items. However, it was within an acceptable range creating a balance between adequate consistency and adequate breadth of the measurement. The DASS-42 has a score range of 0-42 for each subscale which was upheld in a variety of populations, so does the DASS-21 since the scores are multiplied by two. The initial development of the DASS was to differentiate between depression and anxiety. Utilising a factor analysis (the way observed correlated variables relate to unobserved variables), the DASS was administered to psychology students to identify items for the scales, depression and anxiety. A factor analysis arranges, in order of importance, values of observed data expressed as functions of possible causes. A vast number of studies have been conducted in New Zealand (broader population) using the DASS to identify associations with depression, anxiety and stress (Robinson, Brocklesby, Garisch, et al., 2017; Kaplan, et al., 2015; Lovell, Huntsman & Hedley-Ward, 2014; Carter et al., 2014; King, 2014; Hunt, 2012; Samaranayake & Fernando, 2011; Rucklidge & Blampied, 2011). According to the 2011/2012 New Zealand Health Survey, 14.3% of New Zealanders were diagnosed with depression at some point in their lives. Anxiety disorders also scored high, over 6.1% had disorders which include post-traumatic stress disorder (PTSD), generalised anxiety disorder (GAD), phobia and obsessive-compulsive disorder (OCD). Women scored higher than men. The diagnosis for women was 7.9% depression and 7.7% anxiety disorder v.s. 10.4% and 4.4% for men respectively. The 2012/13 Health Survey further indicates that 17.1% of deprived New Zealand adults have been diagnosed with a mental disorder, including bipolar/depression and/or anxiety disorder at some stage in their lives. This is 1.6 times higher than adults in less deprived areas. The Ministry of Health (2013) recorded for the period 2009-2013 that 1.7% (508) deaths in 2013 were suicides, with rates highest amongst Māori males,15-24. The Māori male youth suicide rate was almost twice that of Māori female, Pacific Islanders and other Asian ethnic groups as a due to stress that comes with stressors of economic and other deprivation. New to the Diagnostic and Statistical Manual of Mental Disorders (DSM-5) is the integration of a dimensional assessment (quantifying emotional states with scores) to the categorical approach (previously strictly categorical) (American Psychiatric Association [APA], 2013). DASS is not categorical, but a dimensional assessment based on a self-report of experiences within the past week (Lovibond & Lovibond, 1995a). To derive a DSM-5 diagnosis during a clinical assessment, ensure that symptoms of each disorder are not attributable to a medical condition or better defined by another disorder. For a DSM-5 diagnosis, the episode should cause significant distress or impairment in social, occupational or essential areas of functioning (APA, 2013). The DASS timeframe for diagnosis falls outside of the DSM-5 Depression and Anxiety specification. Major Depressive Mood Disorder must include at least five symptoms associated with criteria A in the DSM-5 presenting in a 2-week period and a change from previous functioning including one of the symptoms (1) depressed mood or (2) loss of interest/pleasure (APA, 2013). When considering the DASS-21 questions, depression is covered by items 3 (no positive feelings), 5 (difficulty doing things), 10 (nothing to look forward to), 13 (down-hearted), 16 (no enthusiasm), 17 (worthlessness), and 21 (meaninglessness), (Appendix A). These questions relate to negative effect. Generalised Anxiety Disorder (GAD) includes excessive anxiety and worry occurring more often than not for at least six months and affects activities such as work or school performance and is associated with three or more of category C in the DSM-5 diagnostic manual (APA, 2013). The DASS-21 questions that relate to anxiety include question 2 (mouth dryness), 4 (breathing difficulty), 7 (trembling), 9 (worry), 15 (panic), 19 (heart rate) and 20 (scared for no good reason) (Appendix A). These questions cover physiological arousal. Acute Stress Disorder (ACD) lasts at least three days to one month after trauma exposure, and the timeframe corresponds to the DASS-21 (identify items within the past week). To diagnose ACD the client should present with at least 9 symptoms from the 5 categories found in the DSM5 (APA, 2013). Questionnaire items on the DASS that cover stress include cognitive, subjective symptoms of anxiety including scale items 1 (difficulty winding down), 6 (over-react to situations), 8 (using nervous energy), 11 (agitation), 12 (difficult to relax), 14 (intolerant), and 18 (touchy). In clinical settings, the DASS-21 incorporates the clients’ self-reported emotional disturbance as part of the broader assessment. In this way, the clinician can assess the severity of symptoms of depression, anxiety and stress (Shea, Tennant & Pallant, 2009). Lovibond and Lovibond (1995a) stressed that the DASS-21 should not replace a clinical interview and that other disturbances not addressed by the scales should be identified through a clinical discussion. Furthermore, the scale has no direct implications for allocating diagnostic categories according to classification systems such as the DSM (Diagnostic and Statistical Manual of Mental Disorders) and ICD (International Classification of Disorders). The DASS-21 normative data were based on one sample comprising 717 people between the ages of 17-69 years and found to be reliable. Alpha values (significant levels) for the 7-item normative sample scales were Depression 0.81, Anxiety 0.73, Stress 0.81. The factor structure (correlation between variables that measure a particular construct) and relative performance of individual items were found virtually the same in clinical and non-clinical samples and correlated highly to that reported by Beck (1988) on a clinical sample (Lovibond & Lovibond,1995b). Depression, anxiety and stress manifested by clinical outpatients and normal non-clinical groups differed primarily in severity. The results add to evidence suggesting that emotional disorders fall on a continuum with less extreme emotional disturbance where clinical disorders may represent the severe, inappropriate or chronic manifestation of syndromes (Lovibond & Lovibond,1995a). The scales are moderately inter-correlated at approximately rs= .5 – .7 which is in line with the BDI (Beck Depression Inventory) and BAI (Beck Anxiety Inventory). Lovibond and Lovibond(1995b) made a comparison between the DASS, Beck Depression Inventory (BDI) and Beck Anxiety Inventory. They found that the anxiety scales were highly correlated (66% common variance r=0.81) and depression scales somewhat less correlated (55% r=.74). The lower cross-construct correlations between DASS and BDI scales (r=0.58 and r=0.54) indicate that there is a greater degree of convergent validity than in typically observed self-report scales. The factor analysis was indicated as the primary reason for the lower correlation between DASS Depression and BDI, due to BDI’s inclusion of somatic symptoms, i.e. loss of libido, appetite, weight loss etc. and anxiety loss of sexual interest, loss of appetite, weight gain, increased sleep. The DASS correlates well with the Personal disturbance scale, Positive & Negative Affect Schedule, Hospital Anxiety and Depression Scale (Osman, Wong, Bagge, et al., 2012). Researchers found the DASS-21 to be valid, reliable and easy to administer for both clinical and research purposes (Osman, Wong, Bagge, et al., 2012; Norton, 2007; Henry, Crawford, 2005; Crawford & Henry, 2003). Additional studies replicated the psychometric properties (Da Silva et al. 2016; Tran et al. 2013; Nieuwenhuijsen et al., 2003; and more). Both DASS questionnaires (21 and 42) are public domain, and no special skills are required to administer the self-report instruments. However, interpretation should be carried out by professionals. The DASS-21 can be conducted manually, online or via computer. Note that professionals do not have permission to administer the DASS on a website or app open to the public. The scale’s administration is restricted to defined groups, clients or participants in research. Electronic administration for research purposes can be automated for scoring (Lovibond & Lovibond, 1995a). 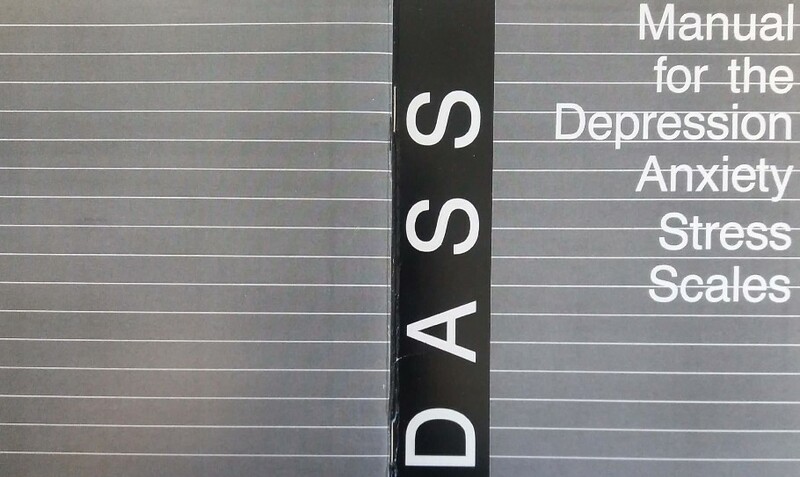 Included in the DASS Manual, clinicians receive a plastic scoring template to place over the completed response form. Scale information, i.e. D (Depression), A (Anxiety) and S (Stress) are listed alongside the rating scales, sum scores for each scale and multiply DASS-21 scores by two (Appendix B). DASS scores can be interpreted using the DASS-21 profile sheet to enable comparisons between the scales (Appendix C) (Lovibond & Lovibond, 1995a). Table 1 is a breakdown of the severity rating from normal to extremely severe. Even though DASS scores should not be used exclusively to assess depression, anxiety or stress, high scores would alert clinicians of high levels of distress that could be explored further during an interview. During additional DASS administrations, changes in one scale (i.e. depression) and consistently high scores in another (i.e. anxiety) could inform a clinician to pay attention to co-existing anxiety, other problems or life-events that could be directly addressed in therapy (Lovibond & Lovibond, 1995a). The DASS had over 25 translations available (Parkitny & McAuley, 2010) and was validated in numerous contexts including generational and racial groups (Norton, 2007). The measure is also widely used internationally (Oei, Sawang, Yong, & Mukhtar, 2013). Furthermore, the DASS was applied to older persons (Gloster, et al., 2008), children and adolescents (Szabó & Lovibond, 2006; Szabó, 2010; da Silva et al., 2016), from military veterans (MacDonell, Bhullar & Thorsteinsson, 2016) to validating the DASS-21 as screening tool in rural northern Vietnamese women (Tran, Tran & Fisher, 2013). When using self-report questionnaires, psychologists rely on the honesty of participants. The DASS is unable to identify malingering (Lovibond & Lovibond, 1995a). Furthermore, people have different ways of completing forms; some prefer extreme points while others use midpoints, hence, completing questions may be unintentionally biased (Austin, Gibson, Deary, et al., 1998). The DASS-21 is a screening tool for professionals to assess low or disturbed mood in clients. Caution is advised when using the scales since severity ratings were obtained from large, mostly heterogeneous samples of individual ratings. “The further away the score from a population mean the more severe the symptoms” (Parkitny & McAuley, 2010 p.204). When considering risk, the DASS-21 does not assess suicidality. Risk assessment should be carried out during the clinical interview. According to Lovibond and Lovibond (1995a) items for suicidal tendencies were not found on any scale and an experienced clinician will recognise the need for a comprehensive risk assessment. If you enjoyed, Skype counsellor discussing Depression Anxiety Stress Scale (DASS) drop us an email in the contact form below. We’d like to hear from you. Thank you for reading Skype counsellor discussing Depression Anxiety Stress Scale (DASS). If you found this article interesting, then feel free to subscribe to our newsletter. For the article Skype counsellor discussing Depression Anxiety Stress Scale (DASS), below are useful references if you want to find out more. Austin, E. J., Deary, I. J., Gibson, G. J., McGregor, M. J., & Dent, J. B. (1998). Individual response spread in self-report scales: Personality correlations and consequences. Personality and Individual Differences, 24(3), 421-438. Beaufort, I. N., De Weert-Van-Oene, G.H., Buwalda, V. A. J., de Leeuw, J. R. J., & Goudriaan, A. E. (2017). The Depression, Anxiety and Stress Scale (DASS-21) as a Screener for Depression in Substance Use Disorder Inpatients: A Pilot Study. European Addiction Research. 23, 260–268. Carter F. A., Bell, C. J., Ali, A.N., McKenzie. J, & Wilkinson, T. J. (2014). The impact of major earthquakes on the psychological functioning of medical students: a Christchurch, New Zealand study. The New Zealand Medical Journal. ;127(1398), 54-66. Church, J., Fergusson, D., Horwood, J., & Poulton, R. (2014). Incredible Years Follow-up Study: Long-term follow-up of the New Zealand Incredible Years Pilot Study. Published by Ministry of Social Development. Gloster, A.T., Rhoades, H.M., Novy, D., Klotsche, J., Senior, A., Kunik, M., Wilson, N. & Stanley, M.A. (2008). Psychometric properties of the Depression Anxiety and Stress Scale-21 in older primary care patients. Journal of Affective Disorders, 110, 248-259. Henry, J. D., & Crawford, J. R. (2005). The short-form version of the Depression Anxiety Stress Scales (DASS-21): construct validity and normative data in a large non-clinical sample. Br J Clin Psychol. 44, (Pt 2), 227-39. Robinson, K., Brocklesby, M., Garisch, J. A., O’Connell, A., Langlands, R., Russell, L., Kingi, T., Brown, E., & Wilson, M. S. (2017). Socioeconomic deprivation and non-suicidal selfinjury in New Zealand adolescents: The mediating role of depression and anxiety. New Zealand Journal of Psychology Vol. 46, 3. King, J., (2014). Review of Outcomes for Clients who use Methamphetamine. Report prepared for Higher Ground Drug Rehabilitation Trust. Auckland: Julian King & Associates Limited – a member of the Kinnect Group. Lovibond, P. F., & Lovibond, S. H. (March 1995b). The structure of negative emotional states: Comparison of the Depression Anxiety Stress Scales (DASS) with the Beck Depression and Anxiety Inventories. Behaviour Research and Therapy. 33 (3): 335–343. doi:10.1016/0005-7967(94)00075-U. PMID 7726811. Ministry of Health. (2015). Office of the Director of Mental Health Annual Report 2014. Wellington: Ministry of Health. Ministry of Health. (2016). Suicide Facts: Deaths and intentional self-harm hospitalisations 2013. Wellington: Ministry of Health. Ministry of Health. (2017). Te Whānau Pou Toru. The University of Auckland. Wellington. Norton, P. J. (2007). Depression Anxiety and Stress Scales (DASS): Psychometric analysis across four racial groups. Anxiety, Stress, and Coping. An International Journal, 20, 253-265. Osman, A., Wong, J. L., Bagge, C. L., Freedenthal. S., Gutierrez, P. M., & Lozano, G. (2012). The depression anxiety stress scales – 21 (DASS21): further examination of dimensions, scale reliability, and correlates. J Clin Psych. 68 (12), 1322-1338. Rucklidge, J. J., & Blampied, N. M. (2011). Post-Earthquake Psychological Functioning in Adults with AttentionDeficit / Hyperactivity Disorder: Positive Effects of Micronutrients on Resilience. New Zealand Journal of Psychology. 40, 4. Samaranayake, C. B., & Fernando, A. T. (2011) Satisfaction with life and depression among medical students in Auckland, New Zealand. New Zealand Medical Journal. 24, (1341), 12-17. Szabó, M. (2010). The short version of the Depression Anxiety Stress Scales (DASS-21). Factor structure in a young adolescent sample. Journal of Adolescence, 33, 1-8. Szabó, M., & Lovibond, P.F. (2006). Anxiety, depression and tension/stress in children. Journal of Psychopathology and Behavioral Assessment, 28 3, 195-205.